Luís O. Silva is Professor of Physics at Técnico Lisboa (IST). He obtained his degrees (Lic. 1992, PhD 1997 and Habilitation 2005) from IST. He was a post-doc at UCLA from 1997 to 2001. His scientific contributions are focused in the interaction of intense beams of particles and lasers with plasmas, from a fundamental point of view and towards their applications for secondary sources for biology and medicine. He has authored more than 160 papers and 3 patents, was awarded two Advanced Grants from the ERC (2010 and 2015), served on the program/selection committees of conferences and prizes worldwide, and on the scientific committee of several EU infrastructures. He has supervised 7 PhD students and 7 post-doctoral fellows whose work was recognized with several prizes. Luís O. Silva was awarded the 2011 Science Prize of TU Lisbon, the IBM Scientific Prize 2003, the 2001 Abdus Salam ICTP Medal for Excellence in Nonlinear Plasma Physics by a Young Researcher, and the Gulbenkian Prize for Young Researchers 1994. He was elected Fellow of the American Physical Society and to the Global Young Academy in 2009, and Fellow of the European Physical Society in 2017. Ricardo Fonseca was born in Lisbon, Portugal on September 11th, 1973. He received his degree in Physics Engineering from the Instituto Superior Técnico in 1996 and joined the Laser and Plasma Group at this institute. In 2000 he spent one year at the University of California Los Angeles working on the numerical modelling of high intensity laser plasma interactions. He obtained his Ph.D. in Physics from the Technical University of Lisbon in 2002, on the subject of Laser-Plasma Electron Accelerators. He is a researcher for the Instituto de Plasmas e Fusão Nuclear and in 2003 he took up a teaching position at ISCTE - Lisbon University Institute, where he is currently a teniored Full Professor. He has over 100 publications in leading scientific journals. He was awarded the Oscar Buneman award in 2000. He is currently the Dean of Technology and Architecture at ISCTE-IUL. 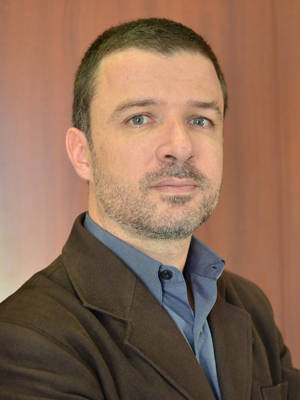 Jorge Vieira is an invited assistant professor and FCT researcher (development level) at Instituto Superior Técnico (IST) in Lisbon. He received his Licenciatura in Physics Engineering from IST. He was a visiting scholar at University of California and Los Angeles in 2006 and 2008 and received the PhD in Physics in 2010 from IST. 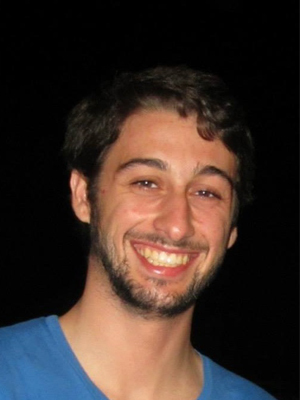 Jorge Vieira was a post-doctoral fellow at IST from 2010-2012 and held a Humboldt Fellowship at Max Planck Institute for Physics in Munich during 2012-2013. He has authored more than 50 papers and 1 patent. 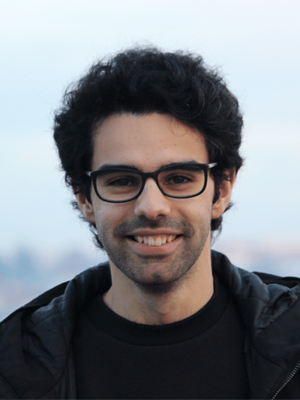 Jorge Vieira received the Technical University of Lisbon/DelloiteYoung Researcher Prize in the category of Physics in 2011 and received an excellent teacher award at IST in 2017. Research Interests: My research employs advanced computing and theoretical modeling to exploit the properties of structured, intense light to attain the ultimate physical limits of plasma accelerators and associated light sources, envisioning beam phase spaces tailored for specific applications. Whenever possible, I collaborate with both theoreticians and experimentalists with whom I seek to participate and elaborate experimental proposals to test novel ideas. Thomas Grismayer received a Master's Degree in Plasma Physics in 2003 at University Paris VI (France) with a specialization in Laser-Plasma interaction. 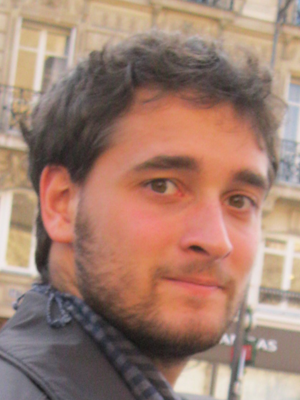 Thomas Grismayer completed a PhD degree in Plasma Physics at the Centre de Physique Théorique of Ecole Polytechnique in 2007 under the supervision of Prof. Patrick Mora. 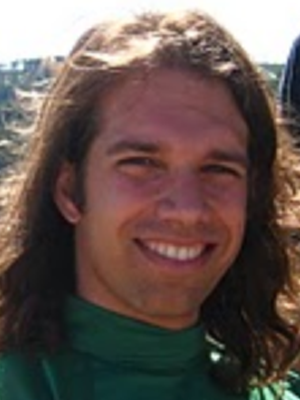 Right after in 2008, Thomas Grismayer moved to the United States to work as a postdoctoral fellow with Prof. Warren Mori, in the Plasma Simulation Group at the University of California Los Angeles (UCLA). In 2011, Thomas Grismayer received a post-doctoral fellowship from the Fundação para a Ciência e Tecnologia (FCT) and started to work in the Group for Lasers and Plasmas (GoLP) at Instituto Superior Técnico. In 2013 he was awarded a Starting Grant from FCT (Researcher) and he is currently continuing his research at GoLP. Research Interests: Ion acceleration in plasma expansion, particle acceleration in dense target irradiated by intense laser, parametric instabilities related to inertial fusion, nonlinear and multiple dimensional effects associated to electron plasma waves, magnetic field generation in shear instabilities and QED effects in plasma in extreme high fields. I am currently a postdoctoral researcher at the Instituto de Plasmas e Fusão Nuclear (IPFN) at Instituto Superior Técnico, where I now work with Luis Silva. From 2012 to July 2014 I worked under Nuno Loureiro, who I now continue to work with as well. I completed my Ph.D. in Physics at the University of Maryland in 2012, where I worked with James Drake. I also completed an undergraduate degree in physics, and one in mechanical engineering at the University of Maryland in 2005. Research Interests: I am generally interested in fluid dynamics in nature, and in particular plasma physics. I have a particular interest in magnetic reconnection, and its applications in understanding many systems in space physics. I work on computer modeling of plasmas using parallel processing on supercomputers including Supermuc and Juqueen. Joana Martins was born in 1984 in Lisbon, Portugal. In 2007 she received her degree in Physics Engineering at Instituto Superior Técnico, Lisbon and in 2014 she got her PhD from the same institution. Currently, she is a post-doc at the Group for Lasers and Plasmas (GoLP) at Instituto Superior Técnico in the group of Prof. Luís Silva. 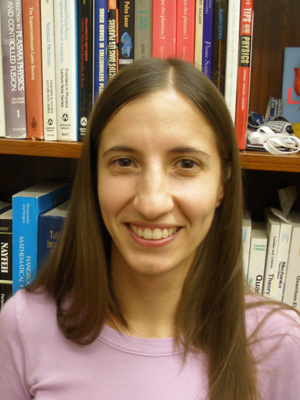 Her main research interests are radiation emission processes/signatures in laboratory and astrophysical conditions, in scenarios such as betatron radiation in plasma-based accelerators, Thompson/Compton scattering at ultra-high intensities, instabilities in collisionless astrophysical shocks and gamma-ray bursters. Outside the lab, she enjoys running and hiking. 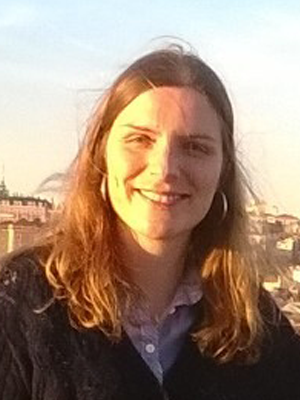 Marija Vranic is currently a Post-Doctoral researcher at IST. She had her PhD from IST under supervision of Luis O. Silva. After the PhD, she spent some time in ELI Beamlines, working on laser-matter interactions at extreme intensities. She obtained her MSc degree in physics at the University of Belgrade, under supervision of Prof. Zoran Lj. Petrovic. 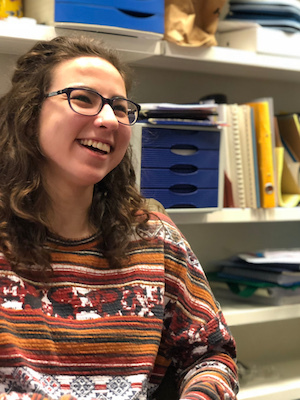 During the undergraduate studies, she has done an internship in the area of laser-matter interaction at Queen's University of Belfast, with Prof. Marco Borghesi. "My interest for physics was triggered at Petnica Science Center (http://www.petnica.rs/), a unique out-of-school learning facility where the students have an opportunity to do an independent scientific project, write a paper and even have their own interdisciplinary annual conference where they present their work. Here, one could hear about many "hot" topics of today's science, because most of the Serbian successful scientists around the world are Petnica alumni, and they are always happy to come back to talk about the science they are doing today. " Extra curricular activities: tennis and dancing. 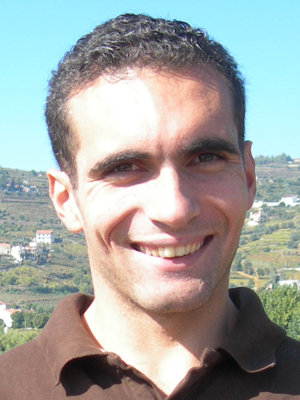 Thales Silva is currently a Post-Doc at IST working on the subject of plasma-based accelerators. He received his MSc and Ph.D. in theoretical physics at the Federal University of Rio Grande do Sul (UFRGS) in Brazil. In his time at UFRGS, he worked with wave-particle interaction in magnetized plasmas, statistical mechanics of systems with long-range interactions, in particular, mismatched intense particle beams, and the envelope beam dynamics for intense bunched beams in LINACs. Research Interests: Density down-ramp injection in LWFA; ion motion, plasma heating, and long-time evolution in plasma accelerators; laser-plasma interaction. 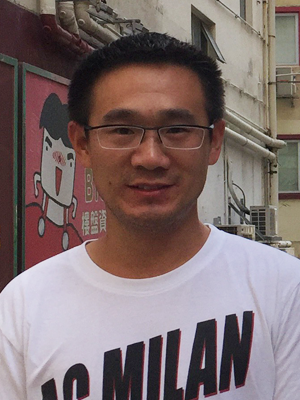 Wenlong Zhang (张文龙) is currently a post-doc at the Instituto de Plasmas e Fusão Nuclear (IPFN) at Instituto Superior Técnico (IST), with Prof. Luis Silva. In June 2012, he completed his bachelor degree in physics in Lanzhou University, Lanzhou, China. After that, in July 2017, he received his Ph. D degree in plasma physics from Peking University, Beijing, China. His Ph. D research focused on laser ion acceleration under the supervision of Prof. Bin Qiao. 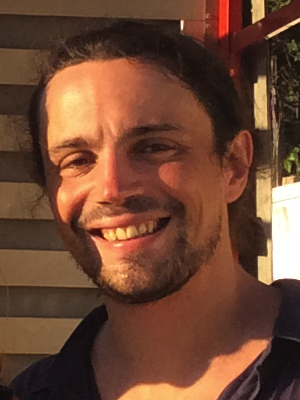 Now in the post-doc phase, he will focus on the laser absorption in the pair plasmas, particularly in the extreme fields where QED effects play an important role. Wenlong is the recipient of the First Prize Scholarship (2010, Lanzhou University) and the National Scholarship (2016, Peking University). 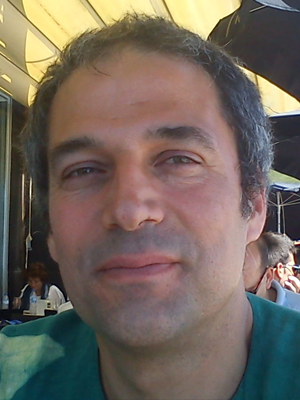 Research Interests: Theoretical and numerical study in laser ion acceleration, including the collisionless electrostatic shock acceleration and magnetic vortex acceleration in near-critical plasmas; laser interaction with the pair plasmas in the presence of extreme fields where QED effects play an important role. Nitin Shukla received his Master in Physics engineering at Institute Superior Técnico in Lisbon under the supervision of Dr. Anne Stockem and Prof. Luis O. Silva. 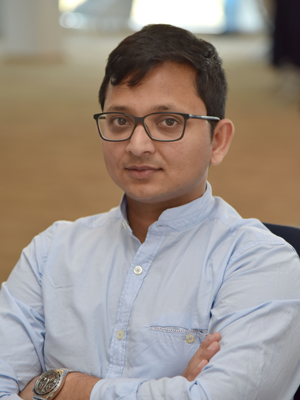 Currently, Nitin Shukla is pursuing his doctoral degree in the field of beam - plasma interaction at the Group of Lasers and Plasmas at Instituto Superior Técnico in Lisbon, Portugal. Research Interests: Wave and plasma instabilities: Fireball beams interacting with plasmas, Multidimensional effect of the spherical fireball expansion into vaccum/background plasma, Fireballs from solid targets and role of solid target ion dynamics. Fábio was born in 1992 in Lisbon, Portugal. He obtained his MSc. degree in Physics Engineering in 2015 from Instituto Superior Técnico (IST), under the supervision of Dr. Paulo Alves (now at SLAC, USA) and Prof. Luís O. Silva. In is MSc., he studied how magnetized plasma flows interact with small-scale obstacles under astrophysical and laboratory conditions. He is currently a graduate student at IST within the APPLAuSE program. His work focuses on understanding how small and large scale plasma phenomena are connected in pulsar magnetospheres, one of the most exotic environments in the Universe. As part of his Ph.D. secondment period, he is currently a visiting student at the Department of Astrophysical Sciences at Princeton University, where he is working with Prof. Anatoly Spitkovsky. When not at work, Fábio likes to spend time with family and friends and working out. Research Interests: Kinetic-scale plasma instabilities, miniature bow shocks, laboratory astrophysics, scientific visualization. Fabrizio Del Gaudio was born in Turin in 1990. 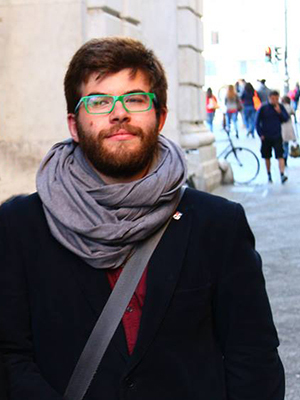 He is a master student in Energy and Nuclear Engineering at Politecnico di Torino. He joined GoLP, at Istituto Superior Técnico, in February 2015 for his master thesis project work on “Numerical simulations of disruption effects from the interaction of electron-positron beams”. 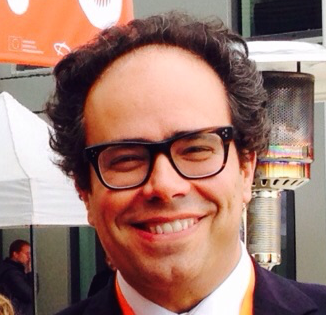 His supervisors are Prof. Luís O. Silva and Prof. Thomas Grismayer. Anton Helm was born in Chelyabinsk, Russia, in 1987 and later on he migrated to Germany in 1996. 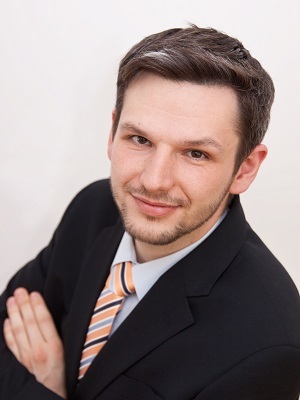 He received his Diploma degree (equivalent to MSc) in Physics by the Technische Universität Dresden in the year 2014. His strong interest in physics started in high school, which was acknowledged with a special award Anerkennungspreis für Besondere Lernleistung. 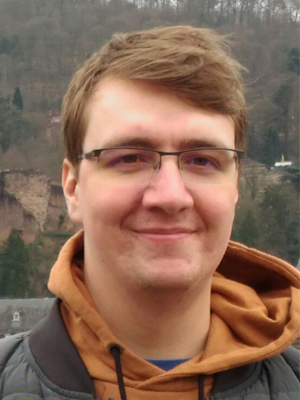 Alongside his studies at the university, he was working at the Helmholtz-Zentrum Dresden-Rossendorf (HZDR) on the theoretical modeling of laser particle acceleration, including an external research internship at Centre Lasers Intenses et Applications (C.E.L.I.A) in Bordeaux, France. His thesis topic was on laser-plasma interaction, especially the influence of spatial-temporal changes in laser pulses on laser-driven ion acceleration. 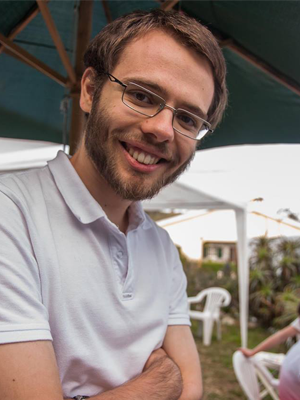 At the current stage, he is pursuing a doctoral degree focused on three-dimensional modeling towards the tera-electronvolt under the supervision of Prof. Ricardo Fonseca and Dr. Jroge Vieira. Giannandrea Inchingolo was born in 1990 in Andria, Italy. He graduated in Plasma Physics at the University of Pisa, Italy, in collaboration with the University “La Sapienza” of Rome. His master thesis is focused on the propagation of shock fronts throughout ICF targets, analyzing different transport models both theoretically and numerically, using the hydrodynamic code DUED. 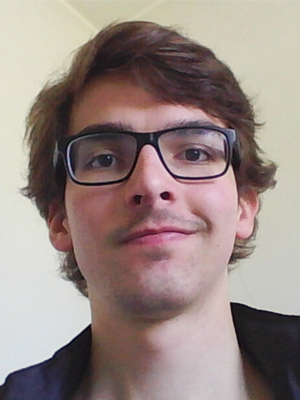 Currently he is pursuing his doctoral degree in the field of generation and amplification of magnetic fields in astrophysical scenarios, at the Group of Lasers and Plasmas under the supervision of Dr. Thomas Grismayer and Pr. Luis O. Silva. Research Interests: Magnetic field generation via plasma micro instabilities: Weibel instability, Firehose instability, shear instability; Magnetic field generation via Biermann battery; Magnetic field amplification via kinetic turbulent dynamo. Rui Torres was born in 1994 in Lisbon, Portugal. He started as an intern at the theory and simulation team of Group of Lasers and Plasmas (GoLP)/IPFN to investigate the role of 6-photon scattering processes in the polarization of vacuum. He obtained his MSc degree in Engineering Physics at Instituto Superior Técnico, Universidade de Lisboa (IST/UL). 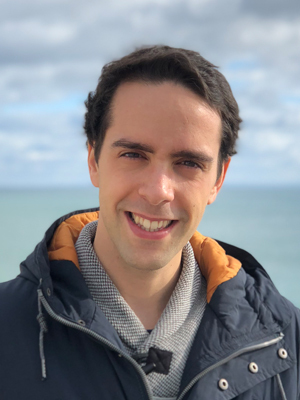 The topic of his MSc thesis was realistic modelling of vacuum polarization induced light scattering scenarios in extreme intense fields under the supervision of Professor Luís O. Silva and Dr. Thomas Grismayer. Recently, he was awarded a grant to further study the effects of an imperfect vacuum or imperfect electromagnetic pulses in the characterization of the QED signatures induced. Research Interests: Extremely High-Intensity Laser Physics, Vacuum polarization, QED processes below the critical Schwinger regime, High Harmonic generation from light scattering scenarios in extreme intense fields. Mariana is pursuing a PhD in Engineering Physics in the field of plasma wakefield acceleration, under the supervision of Jorge Vieira (GoLP), Bernhard Holzer (CERN) and Patric Muggli (CERN). Mariana was born in Lisbon in 1993. Though her work currently keeps her at CERN, she obtained her MSc degree in Engineering Physics at IST. 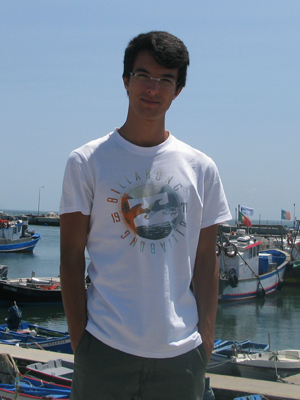 The MSc thesis topic focused on the AWAKE experiment, which is a proof-of-principle experiment for proton-driven plasma wakefield acceleration, and was supervised by Jorge Vieira. Before that, Mariana obtained a BSc degree in the same field of study from the Technische Universität Berlin (TUB), having simultaneously acquired some experience as a lab assistant and teaching assistant at TUB, and as an undergraduate student at CERN. 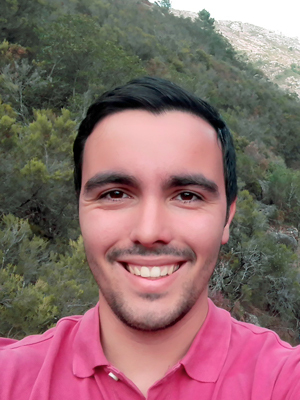 Born in Faro, Portugal in the year of 1998, Óscar Amaro is currently completing the second year in the Master's programme in Physics Engineering at IST, while at the same time working as an undergraduate student under the supervision of Fábio Cruz and Marija Vranic. Among his interests are getting lost in libraries and running. Born 1995 near Lisbon, Started an internship in the summer of 2017. Currently working in that same internship and starting the thesis project under the supervision of Jorge Vieira. Carlos was born in 1995 in Viseu, Portugal. He's currently enroled in the MSc in Physics Engineering at IST and also working under the supervision of Professor Jorge Vieira. Rui Calado was born in 1994 in Lisbon, Portugal. He is currently enrolled in the Master's programme in Physics Engineering at Instituto Superior Técnico (IST). He is working on his master thesis at GoLP. 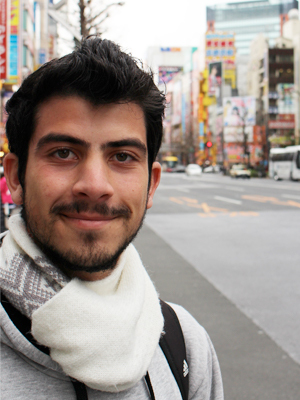 Lucas Sá is an Integrated Masters Student in Physics Engineering at IST. In 2016 he started an undergraduate internship at GoLP, under the supervision of Jorge Vieira, working on the interaction of multiple ultra-intense lasers in plasmas. This internship will help him decide where to do his Master's thesis. Born in Lisbon in 1968. PhD in Physical Engineering at the Technical University of Lisbon in 2010. Working currently at JET, Culham Center for Fusion Energy, UK. 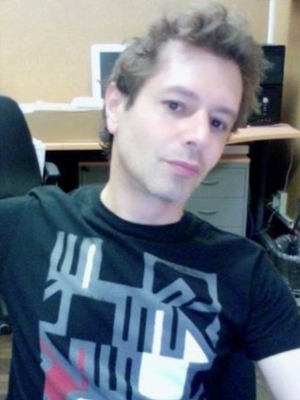 Paulo Ratinho maintains and administers all computer systems at GoLP and provides support for the entire team on subjects from operating systems to parallel programming. Prior joining the Group of Lasers and Plasmas in 2010, he worked in the computer and telecommunications industries, developing software, building, integrating and administering systems, and setting up remote networks for data and voice over satellite and land links. His favorite sports are snowboarding, scuba and sailing.